Robyn Eckhardt has written on food and travel in Turkey, Europe and Asia for The New York Times, Travel+Leisure Southeast Asia, SBS Feast, Saveur, TASTE, and other publications. She was the founding Food Editor at Time Out Kuala Lumpur and is a former food columnist for Wall Street Journal Asia. Robyn has written food guides to Malaysia, Singapore and Vietnam for Lonely Planet and contributed essays to The Oxford Companion to Sugar and Sweets. Robyn’s first cookbook Istanbul and Beyond: Exploring Turkey’s Diverse Cuisines (Rux Martin/Houghton Mifflin Harcourt, 2017) was shortlisted for an Art of Eating Prize and named a ‘Best Read of 2017’ by NPR. Istanbul and Beyond was included in ‘Best Cookbooks of 2017’ lists in Wall Street Journal, Boston Globe, San Francisco Chronicle, Eating Well, Fine Cooking, Rachel Ray Magazine, Saveur, and other publications. Robyn often collaborates with her partner, IACP award-winning food and travel photographer David Hagerman; together they publish the award-winning food blog EatingAsia. Now based in northern Italy after twenty years in east and south east Asia, Robyn offers bespoke culinary excursions in Piemonte and Turkey. For The Economist‘s lifestyle magazine 1843: A feature on young farmers in Piemonte, Italy. For Saveur: On pomegranate molasses, Malaysian palm sugar and Turkish cuisine. For the New York Times: Restaurants in Taipei capitalising on the island’s bounty, sea urchin season on Spain’s Costa Brava, chasing anchovies on Turkey’s Black Sea coast, food market hopping in Aegean Turkey, exploring Cambodian flavors in Siem Reap. For SBS Feast (Australia): A historic market neighbourhood in Chiang Mai, culinary adventures in north eastern Turkey’s cow country. For Travel+Leisure Southeast Asia: Feasting in Taipei, dining out in Istanbul, indulging an obsession with chilies in Sichuan, China. 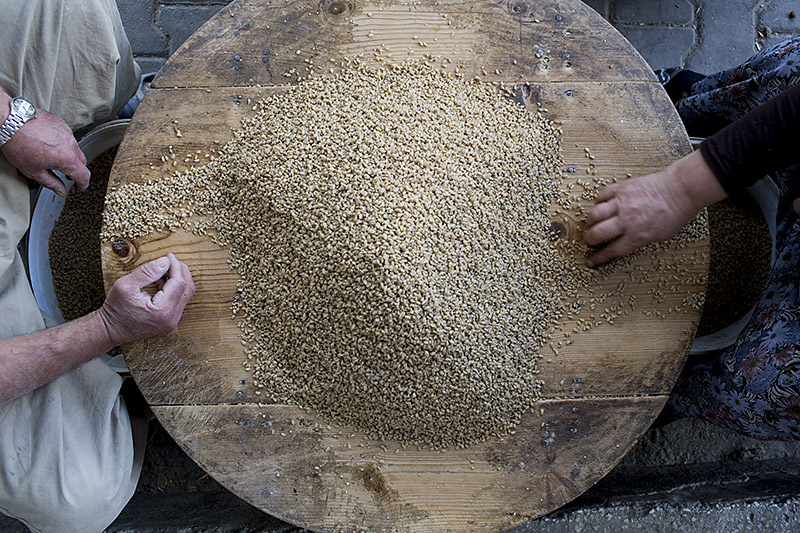 For Wall Street Journal Asia: Seasonal eating in Istanbul, the original artisan toast.